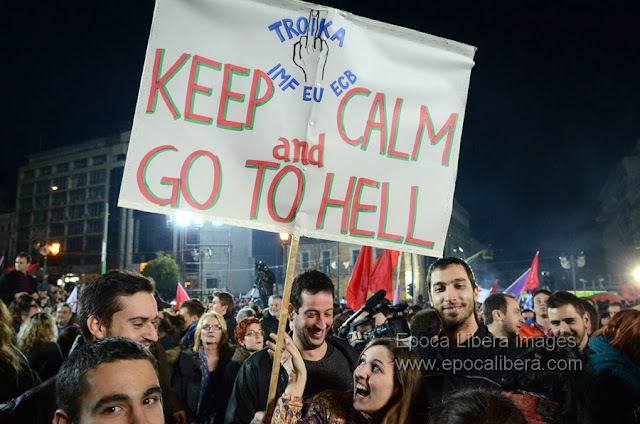 Athens, Greece, 25 and 26 January 2015. 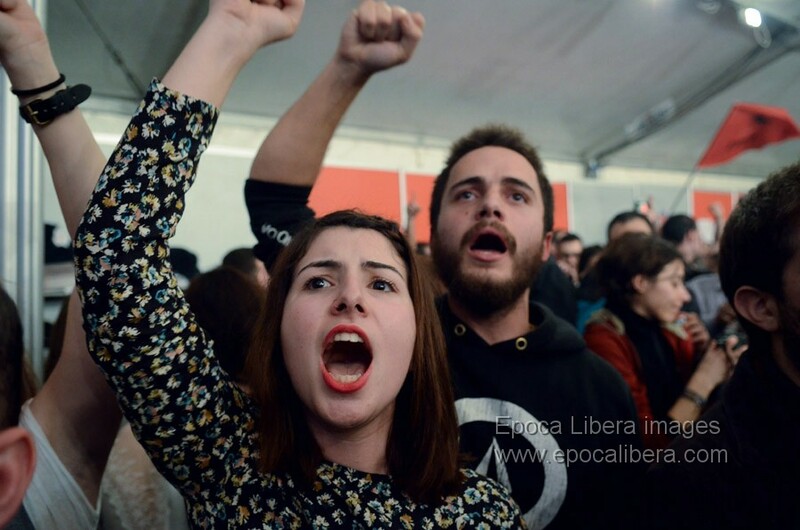 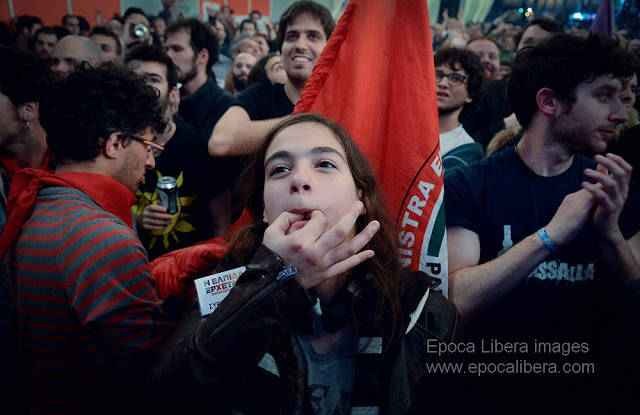 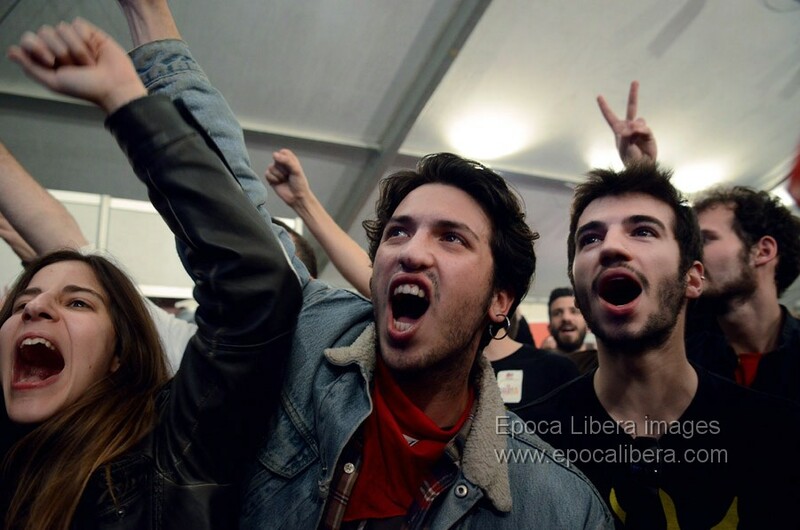 Supporters of the radical left party SYRIZA celebrated throughout the night in Athens after leader Alexis Tsipras addressed crowds following the announcement of their victory in the Greek Parliamentary elections. 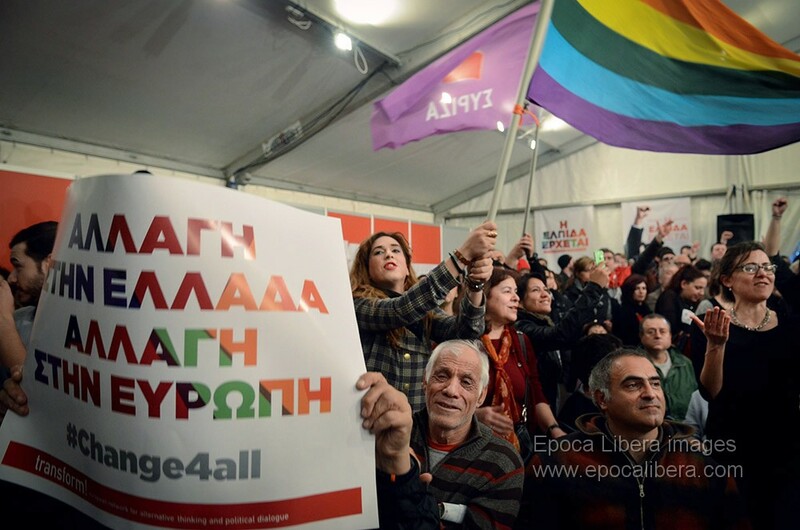 A historic night for Greece and Europe: Left win election for the first time in Greece, and it is also the first electoral victory for an anti-austerity party in the eurozone since the start of the crisis in 2008. Young supporters of left-wing Syriza party react and celebrate as they watch the results at the main Greek election kiosk in Athens. 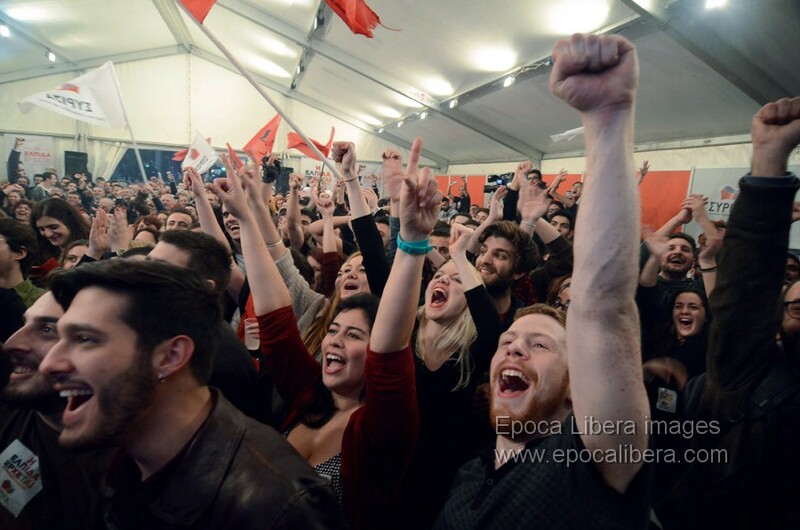 Supporters of left-wing Syriza party react and celebrate as they watch the results at the main Greek election kiosk in Athens. 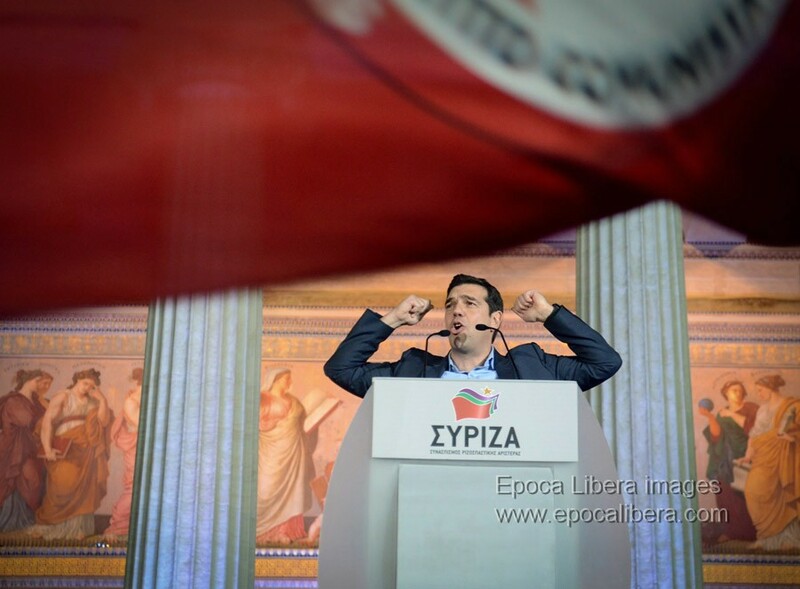 Leader Alexis Tsipras addresses crowd after the results are announced in Athens. 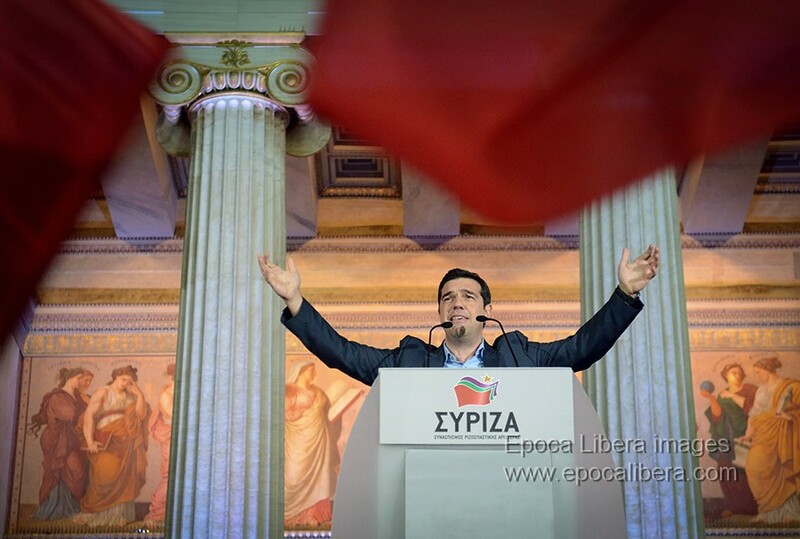 A historic night for Greece and Europe. A poster with the slogan "Troika, IMF, EU, ECB, Keep Calm and go to Hell" is seen during celebrations by supporters of left-wing Syriza party at the main Greek election kiosk in Athens. 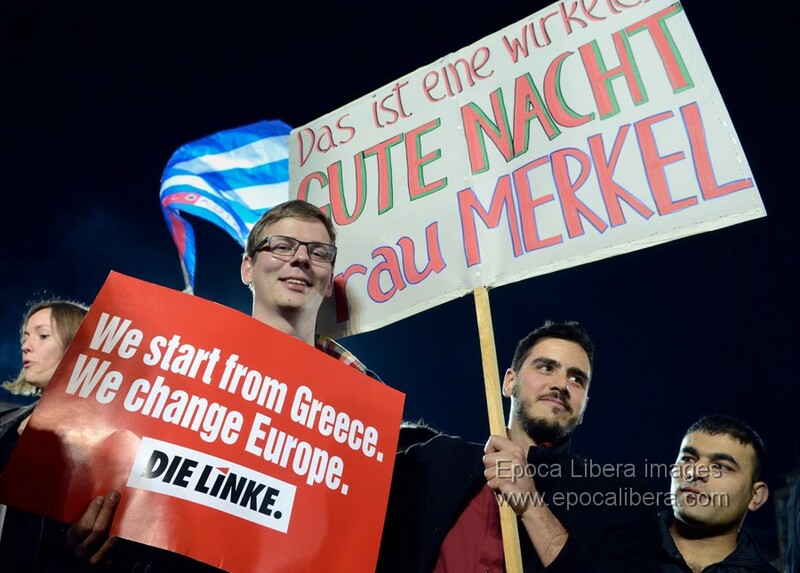 A poster with the slogan ""Good Night Ms. Merkel" (Das ist eine wirklich GUTE NACHT Frau Merkel) " is seen during the celebrations near the election kiosk in Athens center. 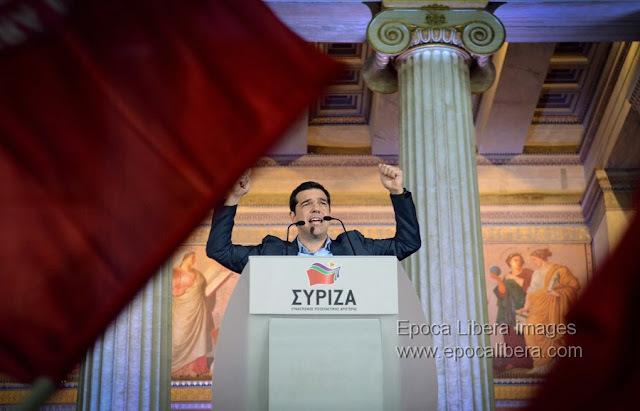 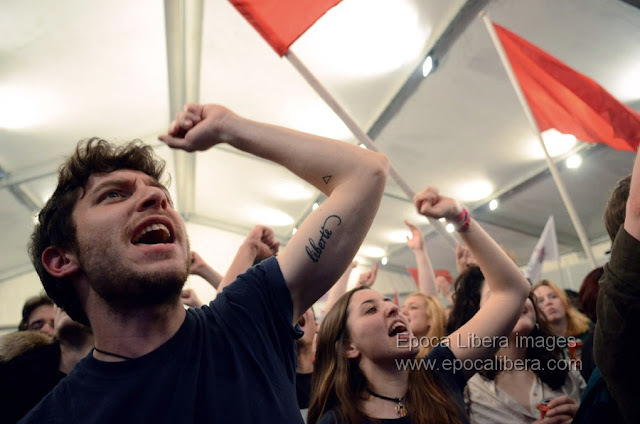 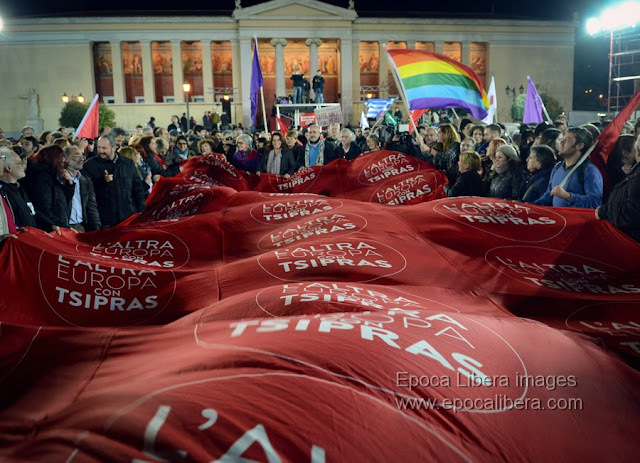 Italian supporters of left-wing Syriza Greek party unfurl during the celebrations a large red banner with the slogan: "A different Europe with Tsipras" ("L'Altra Europa con Tsipras") . 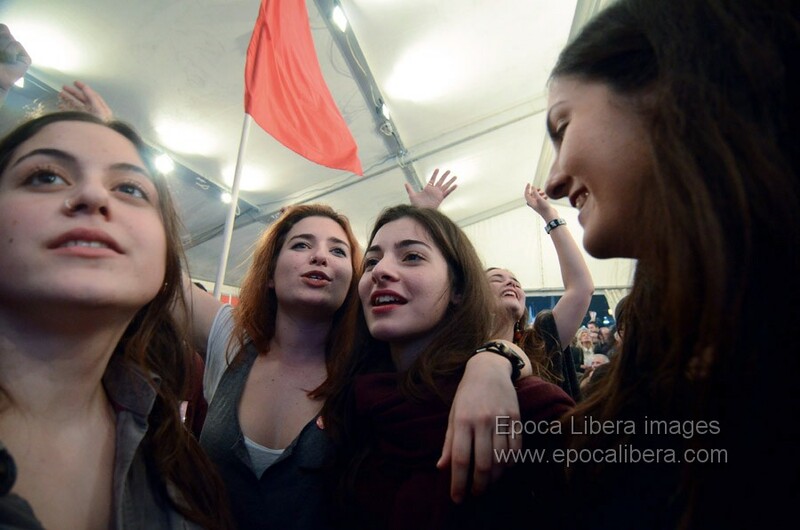 Young female supporters of left-wing Syriza party react and celebrate as they watch the results at the main election kiosk in Athens.